Somerville, Massachusetts, 26 May, 1989. Answerphone message, Beep: "It's your brother-in-law, Andre. Arsenal needed to win by two clear goals at Anfield to win the league and did it with almost the last kick of the match!" And that tinny, brief and precious Trans-Atlantic message was how I found out in post-university U.S. exile how my North London team had its greatest moment since 1971, winning the First Division title at Liverpool, a team that had dominated the English game since the late 1970s. It's now globally known as the English Premier League, a multi-billion-dollar behemoth that is ubiquitous outside the stadiums in which it is played, paying some of the most eye-watering wages to international household names - Manchester United's World Cup Winner, Paul Pogba, Arsenal's Mesut Ozil, Chelsea's Eden Hazard, Liverpool's Mohammed Salah and Manchester City's Sergio Aguero to name but a few of its biggest stars. The new season begins Friday and the hype is in overdrive. And where does this marauding cash cow get its vast mountains of money? In Great Britain, Sky Sports and telecoms group BT pay nearly 5 billion pounds ($6.43 billion) per season to the EPL to show live games. The league's 20 teams get a hefty cut, thus enabling huge wages for some superstars and also some extremely average players. In America, NBC has the broadcasting rights, for which it pays handsomely. A six-year contract through 2021-22 is worth about $1 billion. Stateside, games are shown in designated bars, or, via cable, on a phone or tablet. Time zones are a challenge: get up early in the U.S. for weekend matches, watch later at night in parts of Asia. Acceptable to have a drink at 7.30am Eastern Time at kick off? Probably not. At Noon for the early evening game across the pond? Sure. In the last few years, I've seen Arsenal play live on a screen from afar or caught video clips of goals seconds later online in several U.S. cities, France, The Netherlands, Greece, Morocco, Sri Lanka and Thailand. Failing that, there are countless live blogs or running commentary from increasingly agitated and deranged legions on Twitter. Rewind to the early 80s, the start of my time away from England in the U.S.
A weekly phone call home with my parents was the key source of football information, or perhaps "The New York Times" or "The Boston Globe" would deign to print half an inch of results buried deep in the Sunday Sports section. Later in the same decade, the Columbia University library provided recent copies of the British newspaper "The Guardian" where I could devour match reports and neglect my graduate studies on languorous afternoons. It was all a long way from watching Arsenal in the flesh, a sometime visceral experience in the late 70s that involved some hair-raising, anxious encounters as a youth at home and away with supporters from rival teams. Hooliganism was the scourge of the game in Britain for a good two decades and it had a death toll, spilling blood into Europe, as did poorly built stadiums up and down the country, and policing that treated fans like animals. Woe betide anyone who threatens the image of the EPL now - violence, empty seats at games, the cameras will swing away quickly. But controversies over in-match refereeing decisions, playground spats between managers, as well as the actual action itself? Pile them on the gravy train. 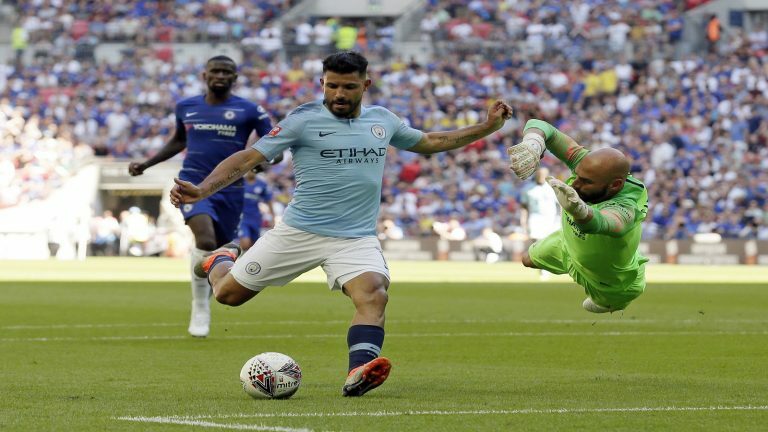 In Britain, Sky Sports and BT, which demand monthly payments to watch live matches at home or in the pub, and the rather zealous tabloid media can't get enough of saying the English Premier League is the best in the world. Some would doubt that when exhilarating matches between the top tier of teams are a rarity. Around a dozen teams , also paying big wages, are desperately trying to stay in "The Show," to borrow a baseball phrase from the film "Bull Durham," and keep a grip on the revenue and public garlands for the teams' multi-millionaire owners. It's certainly the most omnipresent. But Messi, Ronaldo and Mbappe - no introduction needed - don't ply their trade there.